I am often asked “What are your training for?”, to which my reply is always the same. But this week after being asked this again, I thought about it a bit more. To loose weight, for a wedding, a marathon, to get in your pre-baby skinny jeans, a triathlon…..the list goes on and on. But here’s my answer. The only thing I am actively training for is LIFE! It’s been my training program the last 6+ years and I LOVE IT! There has yet to be more than 3 or 4 days in a row, over the past 6 years that I haven’t worked out. That may sound insane to many, but here’s how I see it. SO many people associate working out with an end goal. And that’s great if it works for you. Plenty of our teammates are training for running races, triathlons and other “competitions”. And this “goal” training works for some, but not for all. It’s FUN to mix things up. Most of our runners are finding they are actually running faster, by “running” less (yahooo cross-training and stretching). But on the flip side I see so many people training for things that they come to HATE. If you don’t like running, if you have never enjoyed running, if the thought of running makes you want to crawl in a cave and pull your hair out – DON”T RUN! I can think of 99 other forms of exercise you can choose and I’ll be darned that there will be a few that you enjoy and look forward to doing. And when you enjoy something, when you look forward to it and it becomes a reward in your day, guess what? You find time to make it happen! If you love running, if it feeds your soul and your brain, then by all means run Forest run! The same mentality goes when you are training for a goal weight (which you know my thoughts on this! ), or an upcoming event (competition, wedding, vacation, anything of the sort). I hate to break it to you, but when you are only fixated on one goal, one result, one number to measure your success, you are usually setting yourself up to fail from the start. What happens when and if you reach that goal? 90% of people end up yoyoing back to where they started and continuing the hamster wheel of that negative mentality. Working out consistently is such a BIG deal and should not be taken for granted by anyone. Exercise is a super drug! It has the power to change every other area of your life. Your mood, your hormones, the quality of your sleep, the food you choose to eat, the amount of water you have, it strengthens your organs to keep you alive, protects your bones to keep them from breaking. There are not many things in life you can spend such a small amount of your time doing, that reap so many benefits. But it’s not a seasonal sport. And that’s where for many I think training for something so specific backfires for many. You get to that event, that weight, through that marathon and then are so emotionally and physically burnt out, that you stop doing exercise all together for a while and the cycle starts over. Starting, stopping, starting stopping, finding the latest “trend”, making yourself do something you don’t enjoy. I am by far in the healthiest, happiest and in the best shape of my life with my current “train for life” focus. My workouts are so varied and FUN – they are a non-negotiable in my life. I do not plan my workouts more than a few days in advance and EVERY week looks different. I have no “master” plan for my training. One day I’ll go for a run, the next I’ll pick up weights, I love me some good ol high intensity cardio, I love willPower, yoga, the list goes on and on! And the workouts I don’t enjoy, I don’t do them! Being physically/mentally challenged is far different from not enjoying something. Far different! Heck, in yesterdays Cardio Shred there were moments I wanted to give up and scream. But I mentally pushed through and physically finished one amazing workout. Challenge changes us, punishments drives us to quit. There is a difference. 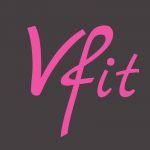 If you find you are always starting and stopping your fitness routine, that you just can’t seem to stick with something, or that you feel lost in what you “need” to do – change your approach! Make exercise enjoyable and a reward you so deeply deserve. This is my long winded answer for what I am training for! 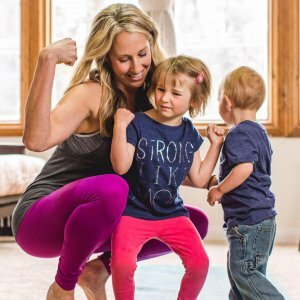 A life I where I am healthy, happy, can keep up with my kids and can do whatever the heck I feel like doing – because I am strong and LOVE myself. I love this! As a “recovering runner” (LOL), I am totally relating to this. It’s almost as if sometimes when people ask you what you’re training for, and you don’t have an answer, they think you’re not a serious athlete. But for me, this is for life! And I’ve finally found something that is sustainable!